A Celebration of Revolution and the Vision of a New World"
A night of artistic performances including jazz, spoken word, hip hop and visual arts celebrating revolution and the vision of a new world, occasioned by the release of BAsics, From the Talks and Writings of Bob Avakian. Bob Avakian is a serious revolutionary leader and wide-ranging thinker. He is the leader of a party and a movement aiming to make revolution when the possibility opens up. He is someone who, in the words of Cornel West, "is a long distance runner in the freedom struggle against imperialism, racism and capitalism." On the Occasion of the Publication of BAsics: A Celebration of Revolution and the Vision of a New World comes at a most profound moment in revolutionary change. To a great degree, long before its publication, Bob Avakian's ideas and commitment have been a harbinger to the current resolve of people caught in the throes of oppression and infused with an energy and desire to bring about dramatic and revolutionary change. While Avakian has taken time to spell out the differences between the 18 days that shook Egypt compared to the 10 days that shook Russia in 1917, there is a common thread connecting the events, and none more potently alive and resourceful as a will of a people no longer willing to endure a repressive, brutal autocracy. BAsics is a primer for us going forward and the event of April 11 will help to solidify this march toward more upheavals against tyranny. A Celebration of Revolution and the Vision of a New World - This is sorely needed in today's world. 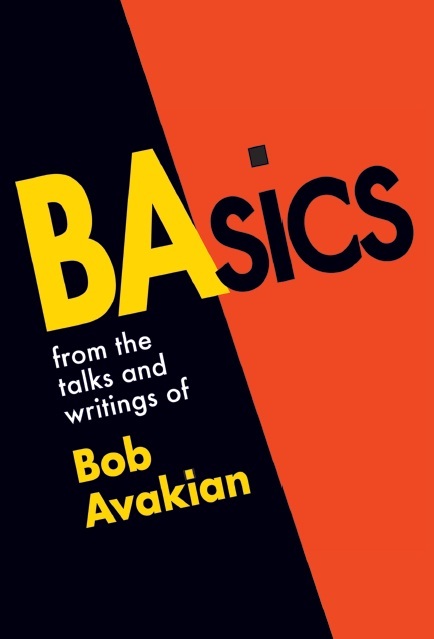 And the publication of Bob Avakian's new book, BAsics, is the perfect occasion for this celebration. Today the pulses of people desiring change are quickened by the sight of hated butchers being ousted by people struggling for freedom. At the same time, even many who wish to see an end to the abuse and injustice people face all over the world wonder if it is possible to bring into being any fundamentally different and better way for people to live. But there IS another way. Bob Avakian, with the work he has done to advance the science of communism, and the breakthroughs he has made in the theory, method and strategy of revolution, provides a source of hope and daring on a solid, scientific basis. He has dedicated his life to revolution, and is leading the Revolutionary Communist Party, USA - which is out here every day, working to make revolution. Bob Avakian's work and leadership makes revolution a real possibility in today's world and gives a vision of a world where oppression, exploitation and antagonistic social divisions are overcome without "turning out the lights" on intellectual and artistic endeavor and initiative, all while protecting the well being of the planet for future generations. This work is going to be crystallized in BAsics, from the Talks and Writings of Bob Avakian, a book of quotes and short essays. For those in the ghettos and barrios across the US who have had it with modern day slavery and are willing to get scientific about the source and the solution to the problems humanity faces, for students and youth who are willing to confront the horrors this system forces people to endure and to act to end them, for everyone agonizing over the state of the world and wondering whether something better could be brought into being - I urge you to get into this book, and to come to this event. This celebration can have a tremendous impact on this situation. An amazing array of people with a diversity of ideas about revolution and the vision of a better world, and from a lot of different fields, experiences and perspectives, are coming together to make it happen - right at the time this important new work is coming out. Be there. I struggle every day. I struggle with outrage and a deep anger at the nature of this society, where endless war has become the accepted norm and something as obvious as the right to health care is even debated, let alone denied. I also struggle with despair, as the "answers" presented to me feel worse than the problems and so many turn a blind eye when the man ordering the bombs to drop and the drones to attack has a different face. There's got to be a better way. I see that better way in the writings of Bob Avakian. But I also struggle with skepticism, and that's the toughest part. When I read Avakian's words, it's always with a dance of inspiration, hope, and skepticism. Not because I want to be skeptical, I just am. How could I not be? The great revolutions of the last century have themselves become, in the minds of most people, the best arguments against communist revolution. How can that be overcome? I'm honestly not sure it can. But one thing I know is that without the profoundly new work that Bob Avakian is doing, it never will. And without that work being in the mix of debate in this world, it never will. So with all of my skeptical heart, I welcome this event. As the world around us spins into ever changing and tumultuous times, not knowing where humanity is going or what the outcome will be, it is important to understand all perspectives. From every corner we must examine with honesty inside our hearts and minds that which will lead all beings into light and out of this never ending darkness where everything is threatened by forces that do not have the best interests of the entire world in mind. "On the Occasion of the Publication of BAsics: A Celebration of Revolution and the Vision of a New World" is one of these events when the seriousness of the situation gives us pause to re-think the present and change the future. Anything is possible if we make it so. My parents come from one of the poorest villages in Bangladesh and I grew up in one of the toughest projects in East Harlem so whenever someone talks revolution to me I am a bit skeptical. When they tell me a white guy is gonna lead this revolution I'm even more skeptical. The comedian in me just starts thinking this is too funny to be true. This was how I felt when a close friend of mine gave me a videotape of Bob Avakian a while back. Mr. Avakian didn't have the phony charisma of a political leader cheering you on with false messages of "hope" or " a new day beginning." In fact in the very beginning Mr. Avakian starts to tell the audience about the legacy of America. About Emmett Till and how America has swept the truth under the carpet and counting on us to have amnesia. That is what impressed me about Bob Avakian. He wasn't trying to win a popularity test or any office. He was just speaking truth with actual facts! Great thing about truth/honesty is once you tell it you don't have to remember any lies. It's just what it is -Truth. Doesn't even matter if the person is white or black. If they have the courage to speak truth to power the message is the weapon! BAsics is the best of what Mr. Avakian represents. Truth, and the struggle to fight for those who need our help. If anyone wants to help folks who are oppressed count me in. If anyone wants to help the poor count me in. If anyone wants to help people expose how this world can be a better place count me in. I'm no comunist (don't even know how to spell it). I'm no expert in politics, but what Mr. Avakian has done brilliantly is shown us that we can still believe it is possible to find a way to help those who don't have a voice, who need to be heard. Who need a revolution to create a way out of their oppression. I, like so many, once felt like talk about revolution and that possibility was as realistic as finding a unicorn. Bob Avakian makes you feel like it is possible. That the fight to emancipate people and challenge corrupt governments are realistic! That revolution is not some esoteric word that has been hijacked from the land of cynicism. When Mr. Avakian speaks of taking the side of the oppressed, challenging the corrupt system, advocating and fighting on behalf of the poor, helping them, championing them - count me in. I'm sure that's a movement everybody will want to be a part of. BAsics is about the truth! Social change was something that, as a child born in the 60s and raised in the 70s, I assumed was a trajectory that would only continue to trend up. In my youthful naïveté, I thought that America had finally woken up after 400 years of inequality and inhumanity and could not, would not, go back to sleep. I didn't expect miracles, just forward progress. I thought of such progress not really as Democratic or Republican, but as something that so obviously served the national interest and the most critical founding principles of this country, it had its own life and fire. It pains me to see that I was dead wrong. It pains me today to see historically marginalized folks like Barack Obama captured by the system and rendered so unwilling or unable to commit to that progress in any meaningful way. But I am heartened to see that the social idealism that I once considered and still consider quintessentially American lives on in full force through people like Bob Avakian. For him, hope is not just a campaign phrase, and never will be. Aladdin, actor and playwright; Herb Boyd, journalist and author; Elaine Brower, National Steering Committee of World Can't Wait* and anti-war military mom; Carl Dix, founding member of the Revolutionary Communist Party; Jessica Green, media maker and co-director, Maysles Cinema*; Nicholas Heyward, Sr., father of Nicholas Heyward, Jr. (murdered by the NYPD in 1994), Russ Jennings, theatre producer and writer; Erin Aubry Kaplan, journalist and author; Rev. Earl Kooperkamp, St. Mary's Church, Harlem*; Mike Ladd, mc and poet; Philip Maysles, visual artist, co-director, Maysles Cinema*; Matthew Shipp, musician; Cornel West, Professor of Religion, Princeton University* and David Zeiger, film maker. You can BUY YOUR TICKET FOR APRIL 11th right HERE!